The Xclaim fabric table top uses dye sub printed fabric graphics that come in different sizes and shapes. Normally the Xclaim graphic skins are left attached to the frames, to make set up faster and simpler. These graphic "skins" attach onto push-fit "buttons" on the frame, and can be swapped out in seconds, so that you can offer different product images for different customers and markets. The Xclaim fabric table top uses a light weight magnetic frame that sets up in seconds, with no tools required. 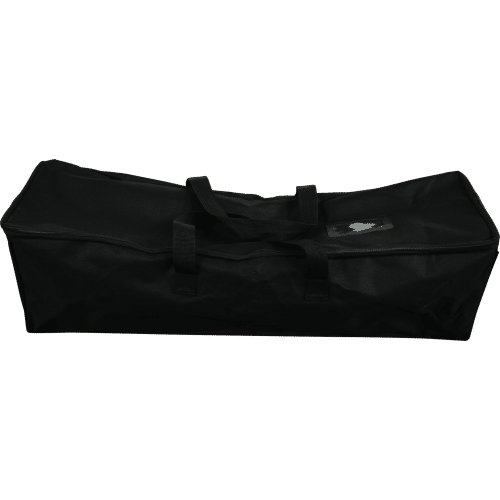 A soft fabric carry bag is included for easy transportation. The Xclaim fabric table top pop up displays are printed in the USA in two locations (Chicago and Las Vegas). Production time is 4-5 business days. the dye sub printed fabric graphic attaches to a push-fit button on the frame and can be swapped out quickly. 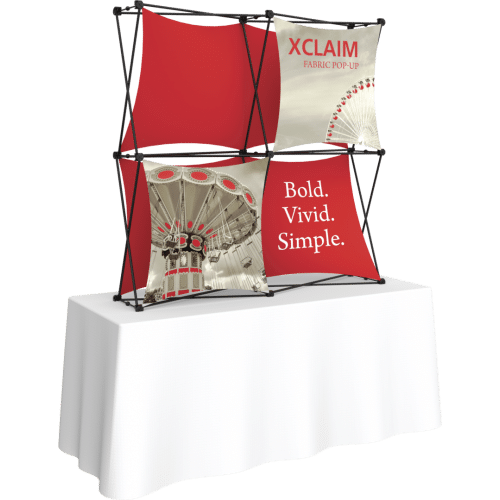 Two frame sizes are offered for the the Xclaim fabric table top displays, with multiple graphic skin configuration options. The Xclaim pop ups are also available as larger, floor standing units. Graphics are machine washable (gentle cycle, gentle detergent, low heat air drying). 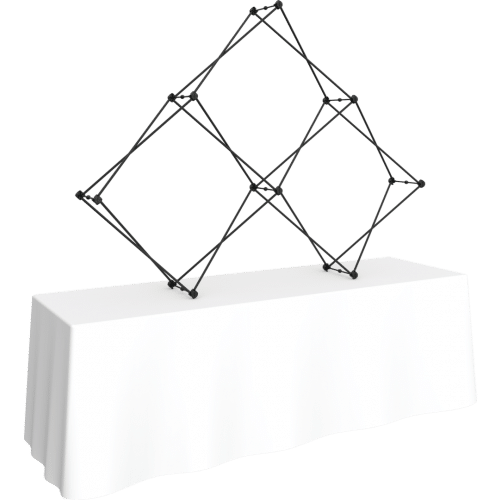 A Lifetime hardware warranty against manufacturer defects is offered with all Xclaim fabric table top display frames. Xclaim Fabric Table Top Displays are compatible with optional LED lighting and can be purchased with an optional hard shipping case.